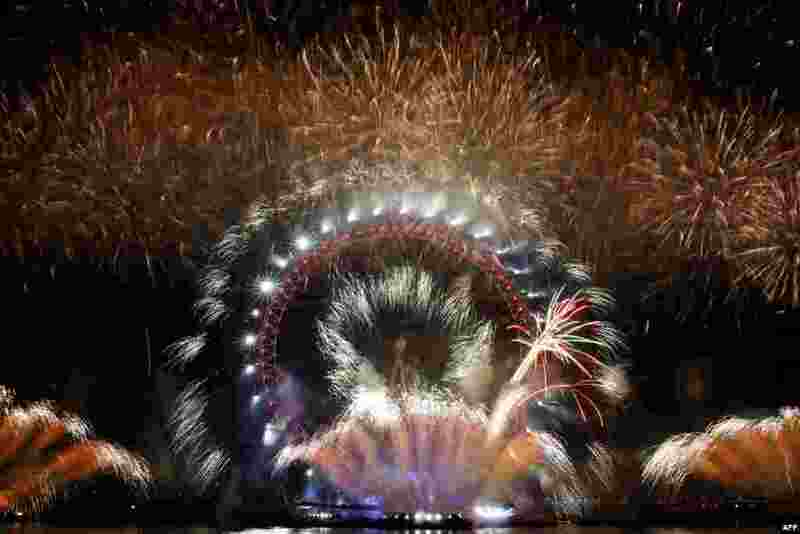 1 Fireworks explode around the London Eye during New Year's celebrations in central London just after midnight. 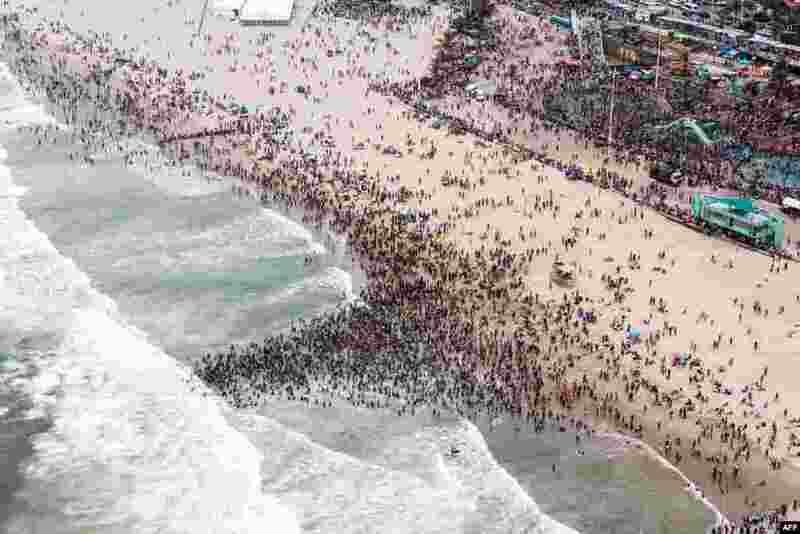 2 This aerial view shows thousands of revelers and holidaymakers gathering at the North Pier Beach during New Year Celebrations in Durban, South Africa. 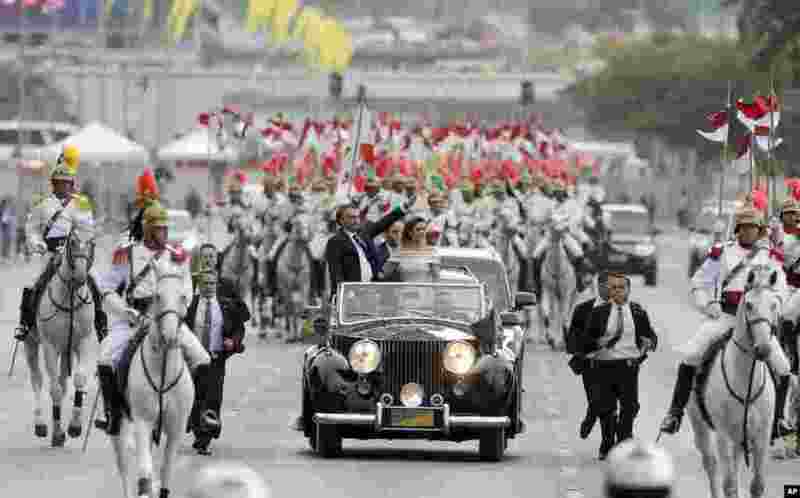 3 Brazil's President Jair Bolsonaro and first lady Michelle Bolsonaro ride in an open car after his swearing-in ceremony in Brasilia. 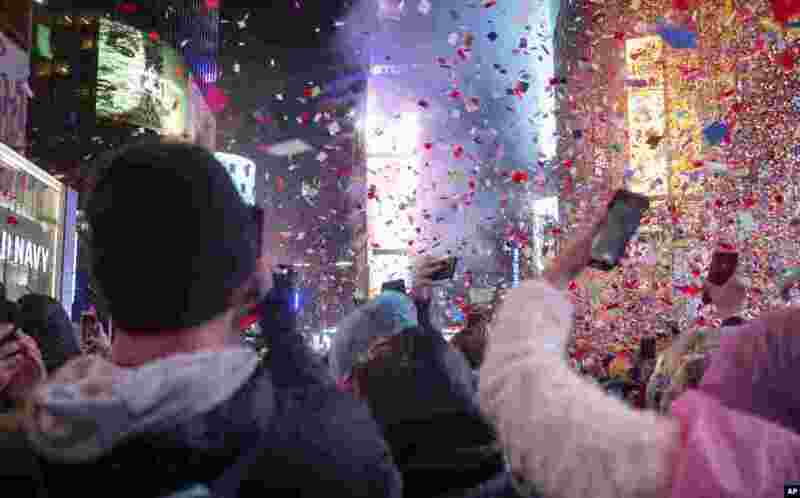 4 Revelers celebrate in Times Square in New York during a New Year's celebration.